I have 2 current giveaways!! One for an Origami Toy Monsters Book & Kit (ends tonight!!) and the other for 2 DVDs. As I have mentioned previously Hazel is very sensitive and easily frightened. She is always anxious and wants to please everyone around her but she worries about doing it. With Halloween fast approaching her anxiety shows up much more. Around the end of August we went into a store that sells many holiday decorations including the owns for lawns. Hazel had nightmares for a few days after that visit, because of the Halloween decorations they were selling. She is even talking about not going to our next door neighbor's house when trick-or-treating even though she loves their fourteen-year-old daughter and always wants to see her, but they have put out their Halloween decorations and she is scared of them. She had a bad dream about some of the things like the giant spider and the witch being at her school playground during recess and the teachers not seeing them right away. At some point Halloween seems to have become almost an adult holiday and the adults are trying their best to scare each other and in return scare the younger children. Of course Halloween is not the only time we run into issues. Hazel does not like joining a group of kids for anything unless she is completely comfortable with the kids and the place and knows the expectations. She is hard to get to know at first, but once her guards are down she is a fun-loving, sweet, compassionate kid. In a group she often stays to the outsides and observes more than joining in. She is easily upset and tries hard to hold in tears. Yes she has cried at school because I was a couple minutes late and she almost had to go to the aftercare program. Her teacher was going to go with her to help her get comfortable, but now she finds a little task for her to do since she knows I will always show up in a minute or two or I will send my mother-in-law in my place if I will be later than that. Hazel even gets extremely nervous for birthday parties. Would if the birthday child doesn't like her gift? What if she doesn't know what to do at the party? What if she doesn't know anyone? You can see where her mind goes. Yes, she makes herself literally sick with worry and we have had to cancel going a few times because of how worked up she gets herself. 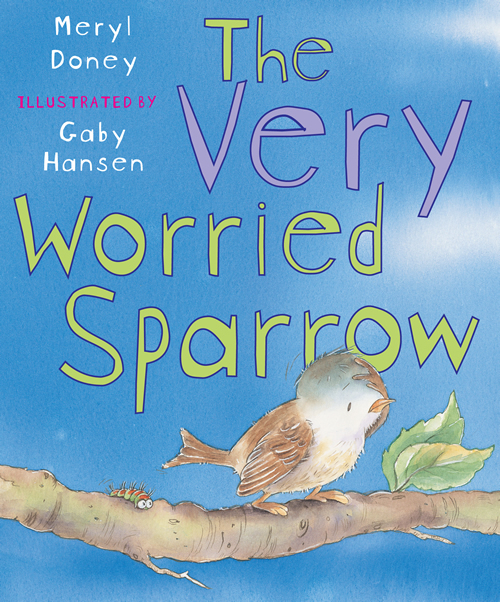 I was very happy when I saw The Very Worried Sparrow by Meryl Doney and illustrated by Gaby Hansen. 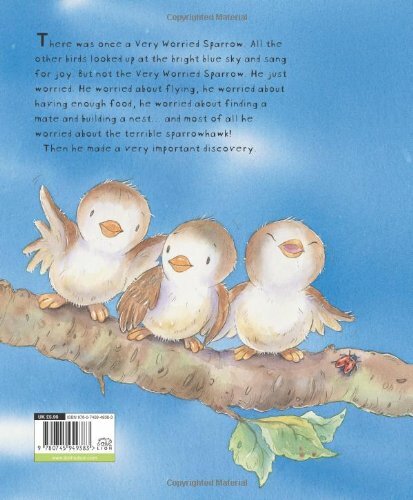 This sweet story is about a little sparrow who is worried to do everything. After hatching he worries about food and of course his parents come and feed him. He worries about flying and ends up falling and of course his wings work and he flies. His brothers and sisters keep trying to get him to join them exploring and playing, but he is so worried he cannot enjoy life. 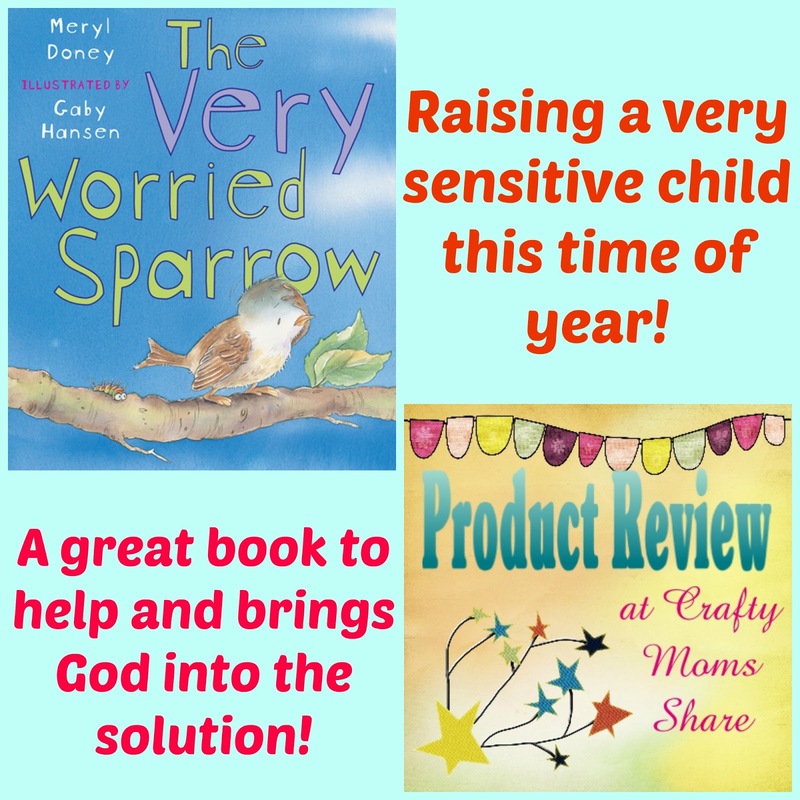 At bedtime his father tells them all stories about the Great Father who made the world and all the things in it and all the things every creature knows, but the worried sparrow is too worried to really hear the stories. 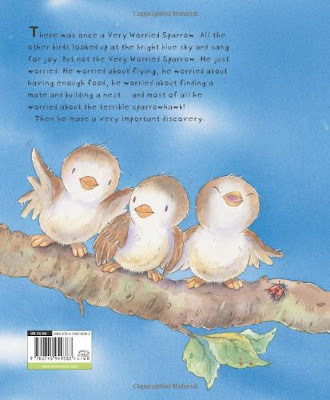 When spring comes a young sparrow comes over and introduces herself to him as he worries about being alone since his brothers and sisters have all found mates. They build a nest together and she lays eggs. 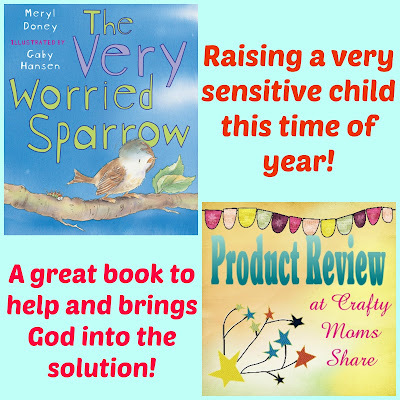 The worried sparrow worries about keeping the eggs safe and a turtledove asks him what is wrong. He tells her he is worried and she asks him if he knows the stories of the Great Father. He tells her he was too worried to listen to them. She tells him the stories and he finally realizes that he does not need to worry that the Great Father is watching out for him. The next day the eggs hatch and he cannot wait to see his babies and start teaching them about the Great Father. This book is such a wonderful book for Hazel. It helps to teach her to focus on God instead of her worries. It is something that took me a long time to learn in my own life so I am trying to teach Hazel when she is younger so she will not be as anxious as I was growing up. The illustrations are beautiful and adorable. The story is so sweet and Hazel could relate to it right away. I highly recommend this book to everyone and especially for anxious kids. As for Halloween and our anxieties, I hope our society will understand that it is all right to have some things for Halloween but we really do not need the gruesome decorations or the really scary things out for September and October. Yes, we will avoid the houses that scare my daughter even if they are friends and yes we do not go to the stores that have so many decorations we cannot avoid them. Some stores only have an aisle and I can have Hazel not go into that aisle, but the ones that have the scary and gruesome decorations out everywhere have lost my business this season. How about Halloween for you? 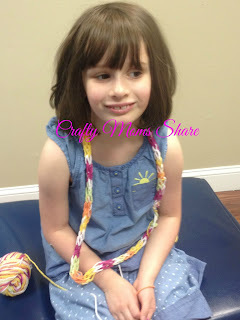 Does it scar your kids?